What money are you leaving lying on the ground? I love a good business back-story. I was listening to CBC’s Under the Influence the other day and heard a great one. Back in 1919, car magnate Henry Ford invited several friends to go on a camping trip – real estate mogul Edward Kingsford, renowned inventor Thomas Edison, and tire scion Harvey Firestone. The New York Times described it as “an outdoor outing but a posh affair,” as they traveled with chauffeurs, a chef, and a convoy that included a decked out kitchen truck. Mr. Kingsford, in specific, was invited because Henry Ford wanted to discuss a business deal with him. The object of Ford’s desire? Timber. At the time, Americans were buying more than one million Model Ts a year, and each car sported a significant amount of hardwood (wheel spokes, dashboard, frame, running boards). Not long after their luxury camping trip, Kingsford agreed to help Ford acquire over 313,000 acres of Upper Michigan timberland. It just made sense for Henry Ford to possess a hardwood forest so that he could own end-to-end production for his car parts. From there, Ford built a sawmill and parts plant. Seems Ford’s mill produced all the wood needed for his model T’s, yet it also generated a significant amount of waste (in the form of branches, stumps, and sawdust). This waste “irked” Ford, as he vehemently hated leaving money lying on the ground. So, he hired a chemist, and after much trial and error, they created the ‘charcoal briquette’ (a new, pillow-shaped lump of fuel made from sawdust, mill waste, tar, and cornstarch). 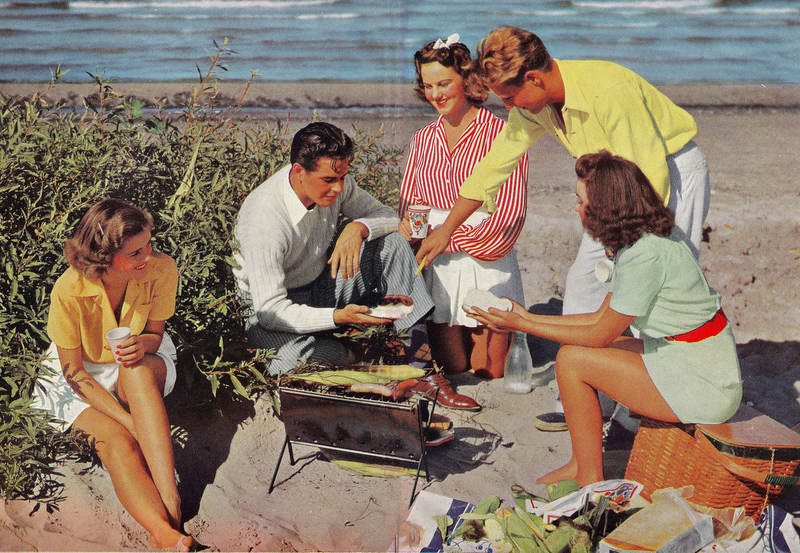 According to the NYT, post World War II (with suburbia beginning to take hold, the invention of the Weber grill, and some shrewd marketing by the group who acquired Ford Charcoal in 1951), “backyard barbecuing” took off. The group renamed the company, Kingsford, after the man who first ran the plant. And that’s how the Kingsford Charcoal Company came to be. It was a “business-to-business-to-business success story.” A 1963 Reader’s Digest article observed, “Cooking with charcoal… is now as deeply ingrained as the long weekend and the servantless kitchen.” And to this day, according to Kingsford, they enjoy an 80 percent market share with more than 1 million tons of wood scraps converted into charcoal briquettes annually.